Delphernia Undersea wants to sing. But everyone on Blightsend knows music belongs to the Masters — and girls with singing throats are swallowed by the sea. On the strange, stormy island of Blightsend, twelve-year-old Delphernia Undersea has spent her whole life in the cloister of turnaway girls, hidden from sea and sky by a dome of stone and the laws of the island. Outside, the Masters play their music. 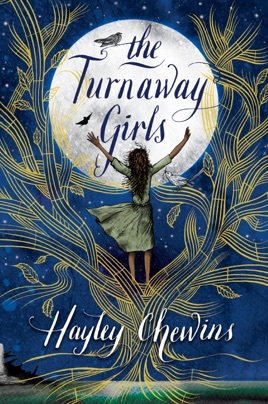 Inside, the turnaway girls silently make that music into gold. Making shimmer, Mother Nine calls it. But Delphernia can’t make shimmer. She would rather sing than stay silent. When a Master who doesn’t act like a Master comes to the skydoor, it’s a chance for Delphernia to leave the cloister. Outside the stone dome, the sea breathes like a wild beast, the sky watches with stars like eyes, and even the gardens have claws. Outside, secrets fall silent in halls without sound. And outside, Delphernia is caught — between the island’s sinister Custodian and its mysterious Childer-Queen. Between a poem-speaking prince and a girl who feels like freedom. And in a debut that glimmers with hope and beauty, freedom — to sing, to change, to live — is precisely what’s at stake. Delphernia Undersea, 12, longs to escape the dank cloister where she must silence her singing voice or be "swallowed by the sea." As one of the turnaways, who are neither seen nor heard, Delphernia's only function is to make shimmer: gold molded from the music of the Masters, which pays the Custodian of Blightsend for their upkeep. Delphernia can't seem to create shimmer, though, and is punished cruelly for it. Then, while everyone sleeps, Delphernia frees her voice, creating a golden bird with a beating heart. When she is chosen by young Master Bly to leave the cloister to spin gold, she's terrified that her secret that she can create life with her song will come out, but wonder and shocking revelations await her on Blightsend, as does a friendship with a fellow outsider, a female Master named Linna Lundd. Writing in Delphernia's wry voice, Chewin, a poet, weaves an unusual, beautiful debut that sings with all the grace of the cloisterwings that Delphernia brings to life with her soaring voice. Entwining themes of rebellion, freedom, identity, and finding one's destiny are at the center of this lovely tale. Ages 10 14.